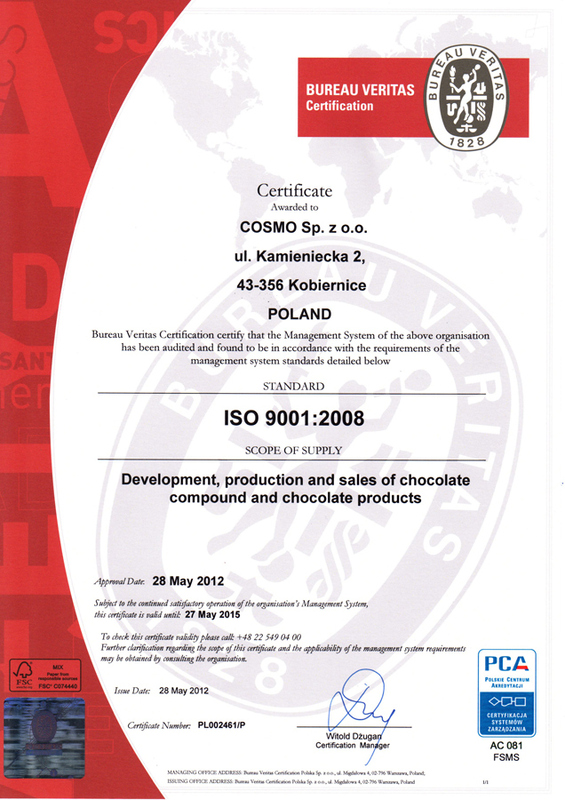 We have the following certificates: ISO 9001: 2008; IFS and UTZ CERTIFIED Good Inside Chain of Custody for Cocoa. 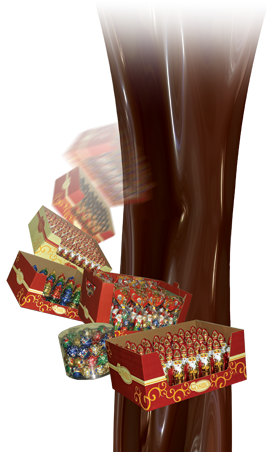 Maintain a leading position in the domestic market for chocolate holiday figurines. Increase sales in foreign markets. Ensure a guaranteed level of quality and safety of products manufactured on the basis of a risk analysis and taking account of existing legislation. Build sustainable and long-term relationships with customers and suppliers. 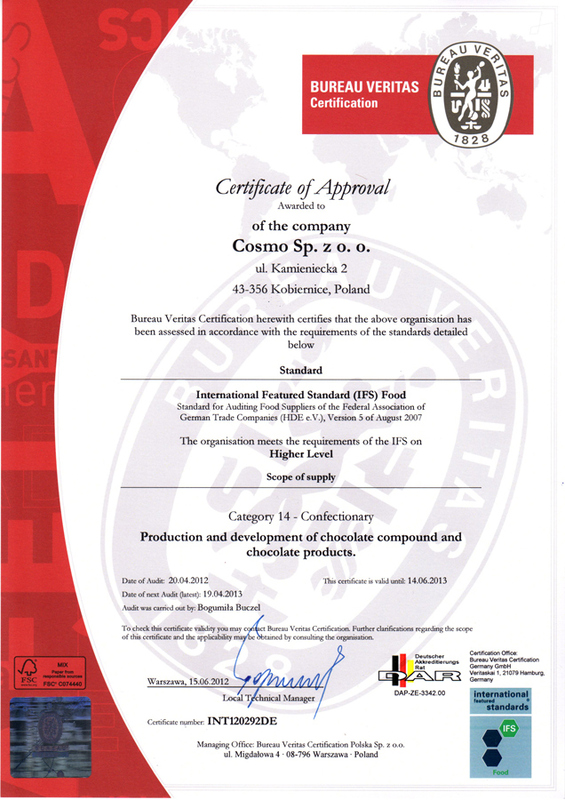 Make quality products meeting the expectations of our customers and consumers. Continuously improve the skills of our personnel. Ensure safe and healthy conditions at work. Our Management Board declares that all our employees are fully aware of their impact on the ability to achieve objectives related to the quality and safety of our products and the need for continuous improvement of our Integrated Management System.